All of Latin America is very family-focused, but Argentina offers families something extra-special. The country’s diversity in landscape and experience make it one of the most beautiful places in the world, and you can experience everything from glaciers to salt flats to a tropical ecosystem. A vacation here is perfect for those seeking an active trip paired with memorable cultural experiences. Yet for many, it still flies under the radar, coming after trips to Machu Picchu or the Galapagos Islands on the family bucket list. 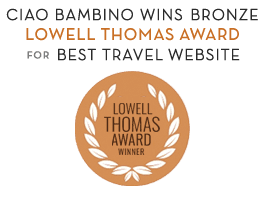 Ciao Bambino works with vetted travel partners who have an intimate knowledge of the region in order to create custom itineraries that match each of our clients’ interests. After returning from a visit with his own family, one of our preferred partners shared his insights for exploring Argentina with kids. Here are the essentials to keep in mind. Many areas in Argentina are good for school-age kids and up. Just keep in mind that the more active you want to be, the older the kids should be to be able to participate in and enjoy the experience. Since the glacier regions require more trekking, this is best saved for teens or young adults. However, the Lake District offers estancias, or ranches, that are perfect for families and offer canoeing, kayaking and horseback riding for those as young as 5. One of the nice things about Argentina is that families can visit during school holidays — winter or summer. Plan on spending at least 10 to 12 days to see two to three areas within the country. High season is typically November through March, with the busiest time between Christmas and New Years; however, you can enjoy a visit year-round. To visit the glacier regions, you’ll need to plan your trip between October and April. June through September is Argentina’s winter, but in many areas the temperatures will only get down into the 40s and it will warm up to the 60s and 70s during the day. Areas like Mendoza, known for its wine tasting and horseback riding, and Salta, which is the outdoor adventure capital of Argentina, are perfect for visiting during the Northern Hemisphere’s summer break, as the crowds are thinner and the prices are lower. Buenos Aires. Since you will likely be flying into the country’s capital, make time to enjoy the city’s wonderful parks, artwork and neoclassical architecture. Of course, while you are there, you must take in a tango show (or participate in some lessons!). Lake District. Stay on a local estancia and enjoy horseback riding along the lakes to waterfalls, hiking to panoramic viewpoints, kayaking and canoeing. Salta. The outdoor adventure center of Argentina, Salta is the place for horseback riding, trekking, canopy adventure courses, mountain biking and more. The salt flats offer incredible landscapes and stunning stargazing in one of the driest places on the planet. Iguazu Falls. A first visit to Argentina should include Iguazu Falls, one of the Seven Wonders of the World. Given the year-round tropical climate, you’ll spot monkeys, exotic birds and other wildlife. Walk the catwalks close to and above the falls or enjoy an adventure boat ride to get up close. Mendoza. This region is perfect for families who like visiting vineyards and sampling local foods. In Mendoza, you can enjoy wine tasting, horseback riding, whitewater rafting and even a private cooking class at one of the many local wineries. Glacier Region. Enjoy a boat ride and family trekking on the glaciers for a once-in-a-lifetime experience. The best way to experience the country is with a local guide and driver who can introduce you not only to the landscape, but also to Argentina’s cultural side. Contact us to start planning your trip!